A great way to add blog posts to a page is to use the Blog Element. This is a fantastic method to use, because it allows you to place your blog posts on any page, select any of our layouts, assign custom categories to display, and so much more. Using the Blog Element gives you the flexibility to add a blog feed on any page, and indeed, anywhere on the page. Each Blog element can have a different set of categories, layouts and other unique blog settings. It's also great to use if you want to only display a few posts on a page along with other content. Before you can display blog posts, you must, of course, first create them. The Avada Cyber Sale Is Ending Soon! 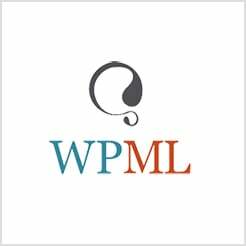 WPML Broadens Integration With Avada & Giveaway! The Blog Element is the most versatile way to add blog posts anywhere on your site. IMPORTANT NOTE: When using the Blog element, the general Fusion Theme Options on the Blog tab will not take effect. This is because each Blog element has its own set of options built directly into the element. This allows you to set all the options per instance of the element. The single post Page Options in Fusion Theme Options will still apply. Note: The Default setting will use the global settings assigned for this element in your Theme Options > Fusion Builder Elements > Blog Element section. Also, please note that the displayed options screens below show ALL the available options for the element. If you have Avada's Option Network Dependencies turned on, you will only see options relevant to your selections, and so the options screen may look somewhat different. Blog Layout - Controls the blog posts layout. Choose between Large, Medium, Large Alternate, Medium Alternate, Grid, Timeline, or Masonry. Number of Columns - Controls the number of columns per row. Note: Masonry layout does not work with 1 column. Default currently set to 2. Column Spacing - Controls the column spacing for blog posts. Masonry Image Aspect Ratio - Allows you to set the ratio to decide when an image should become landscape (ratio being width : height) and portrait (ratio being height : width). Note: The value of "1.0" represents a special case, which will use the auto calculated ratios like in versions prior to Avada 5.5. Masonry 2x2 Width - This option decides when a square 1x1 image should become 2x2. This will not apply to images that highly favor landscape or portrait layouts. Note: There is a “Masonry Image Layout” setting for every image in the WP media library that allows you to manually set how an image will appear (1x1, landscape, portrait or 2x2), regardless of the original ratio. Equal Heights - Allows you to display grid boxes with equal heights per row. Posts Per Page - Accepts a numerical value that sets how many posts to display per page. Choose from -1 - 25. Choose -1 to display all and 0 to use number of posts from Settings > Reading. Post Offset - Accepts a numerical value that sets how many posts to skip. Choose from 0 - 25. Pull Posts By - Allows you to load posts by category or tag. Categories - Controls which post categories to display. Leave blank to show all categories. Exclude Categories - Controls which post categories to exclude. You can exclude multiple categories, or leave blank to exclude none. Tags - Controls which post tags to display. Leave blank to show all tags. Exclude Tags - Controls which post tags to exclude. You can exclude multiple tags, or leave blank to exclude none. Order By - Controls how to order the posts. Choose from Date, Post Title, Post Slug, Author, Number Of Comments, Last Modified, or Random. Order - Controls the sorting order of the posts. Choose from Descending or Ascending. Show Thumbnail - Allows you to show or hide the post's featured images. Choose from Yes or No. Show Title - Allow you to show or hide the title below the featured image. Choose from Yes or No. Link Title To Post - Controls the title as a link to the single post page. Choose from Yes to set the title as a link, or No to keep it as plain text. Text Display - Controls if the blog post content is displayed as excerpt, full content or is completely disabled. Choose between Default, Excerpt, Full Content, or No Text. Excerpt Length - Accepts a numerical value that sets the excerpt's length. Choose from 0 - 500. Strip HTML from Posts Content - Allows you to strip HTML from the excerpt. Choose Yes to strip HTML, or No to keep it. Show Meta Info - Allows you to show or hide all meta data. Choose Yes or No. Show Author Name - Allows you to show or hide the author. Choose Yes or No. Show Categories - Allows you to show or hide blog post categories. Choose Yes or No. Show Comment Count - Allows you to show or hide all comments. Choose Yes or No. Show Date - Allows you to show or hide the date. Choose Yes or No. Show Read More Link - Allows you to show or hide the read more link. Choose Yes or No. Show Tags - Allows you to show or hide tags. Choose Yes or No. Pagination Type - Allows you to set the pagination type. Choose from No Pagination, Pagination, Infinite Scrolling or Load More Button. Grid Box Color - Controls the background color for the grid boxes. Grid Element Color - Controls the color of borders/date box/timeline dots and arrows for the grid boxes. Grid Separator Style - Controls the line style of grid separators. Note: At least one meta data field must be enabled and excerpt or full content must be shown in order that the separator will be displayed. Grid Separator Color - Controls the line style color of grid separators. Blog Grid Text Padding - Controls the padding for the blog text when using grid / masonry or timeline layout. Location: WordPress Dashboard > Avada > Theme Options > Fusion Builder Elements > Blog Element. Number of Columns - Set the number of columns per row for grid and masonry layout. IMPORTANT: Masonry layout does not work with 1 column. Column Spacing - Controls the column spacing for blog posts for grid and masonry layout. In pixels. Blog Grid Text Padding - Controls the top/right/bottom/left padding of the blog text when using grid / masonry or timeline layout. Enter values including any valid CSS unit, ex: 30px, 20px, 25px, 25px. Content Display - Controls if the post content displays an excerpt, full content or is completely disabled for blog elements. Choose between No Text, Excerpt, or Full Content. Excerpt Length - Controls the number of words in the excerpts for blog elements. Blog Date Box Color - Controls the color of the date box in blog alternate and recent posts layouts. layout - Choose from large, medium, large alternate, medium alternate, grid, timeline, or masonry. Sets the layout. blog_grid_columns - Choose from 2, 3, 4, 5, or 6. Sets the number of grid columns. blog_grid_column_spacing - Accepts a numerical value. For example, 30. Sets the column spacing between blog grid posts. equal_heights - Choose from yes, or no. Sets to yes to display grid boxes with equal heights per row. number_posts - Choose from 1 - 25. Set to -1 to display all posts. Sets how many blog posts are displayed. offset - Accepts a numerical value. For example, 1. Sets how many posts to skip. pull_by - Define how posts should be loaded. Accepts: category or tag as the value here. cat_slug - The slug name of the blog post category to display. Use a comma for multiple categories. exclude_cats - The slug name of the blog post category to exclude. Use a comma for multiple categories. orderby - Choose from date, title, name, author, comment_count, modified, or rand. Sets the blog posts' order. order - Choose between DESC or ASC. Sets the blog posts' sorting order. thumbnail - Choose from yes, or no. Show or hide the featured image. title - Choose from yes, or no. Show or hide the title. title_link - Choose from yes, or no. Link the title to the single post page. excerpt - Choose from yes, or no. Select yes to show excerpt, or choose no to show full content. excerpt_length - Accepts a numerical value. For example, 15. Sets how many characters/words to display on excerpt. strip_html - Choose from yes, or no. Show or hide HTML in excerpts. meta_all - Choose from yes, or no. Show or hide all meta information. meta_author - Choose from yes, or no. Show or hide author. meta_categories - Choose from yes, or no. Show or hide categories. meta_comments - Choose from yes, or no. Show or hide comments. meta_date - Choose from yes, or no. Show or hide date. meta_link - Choose from yes, or no. Show or hide 'Read More' link. scrolling - Choose from pagination, infinite, or load_more_button. Sets the type of pagination. grid_box_color - Accepts a hexcode ( #000000 ) or RGBA ( rgba(0,0,0,0) ). Sets the background color for the grid boxes. grid_element_color - Accepts a hexcode ( #000000 ) or RGBA ( rgba(0,0,0,0) ). Sets the color of borders/date box/timeline dots and arrows for the grid boxes. grid_separator_style_type - Choose from Default, No Style, Single Border Solid, Double Border Solid, Single Border Dashed, Double Border Dashed, Single Border Dotted, Double Border Dotted, and Shadow. Sets the line style color of grid separators. grid_separator_color - Accepts a hexcode ( #000000 ) or RGBA ( rgba(0,0,0,0) ). Sets the line style color of grid separators. padding_top - Accepts a pixel value. For example, 5px. Sets the top padding for the blog text when using grid / masonry or timeline layout. padding_right - Accepts a pixel value. For example, 5px. Sets the right padding for the blog text when using grid / masonry or timeline layout. padding_bottom - Accepts a pixel value. For example, 5px. Sets the bottom padding for the blog text when using grid / masonry or timeline layout. padding_left - Accepts a pixel value. For example, 5px. Sets the left padding for the blog text when using grid / masonry or timeline layout.